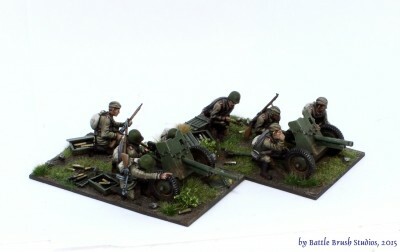 This time Sigur of Battle Brush Studios took a close look at PSC's Russian 45mm anti-tank guns and 76mm infantry guns set (sized 28mm). Eaten by Zombies! is a game designed by Max Holliday, originally published by Mayday Games. Artwork is by Max Holliday and John Huerta. Eaten By Zombies! Burn it Down Expansion is scheduled to launch on Kickstarter soon, licensed by Ginger Ale Games. Using the rubric linked below, we will discuss thoughts on the game so you can find out if it is the right purchase for you. Flip City is a game designed by Chen Zhifan, published by Tasty Minstrel Games. Artwork is by Adam P. McIver. Using the rubric linked below, we will discuss thoughts on the game so you can find out if it is the right purchase for you. The Networks is a game designed by Gil Hova, published by Formal Ferret Games. Artwork is by Heiko Günther and Travis Kinchy. The Networks is scheduled to launch on Kickstarter on September 1, 2015. Using the rubric linked below, we will discuss thoughts on the game so you can tell if it is the right purchase for you. Fate Of Akalon: Tribes is a game designed by Robert Nicaise, published by Foursight Games. 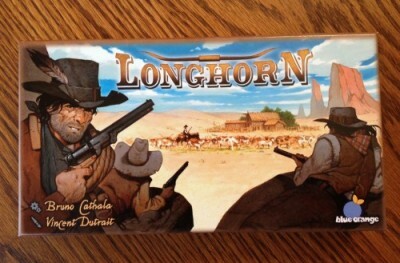 Artwork is uncredited on BoardGameGeek. The Fate Of Akalon: Tribes campaign launched this week on Kickstarter. Using the rubric linked below, we will discuss thoughts on the game so you can find out if it is the right purchase for you. 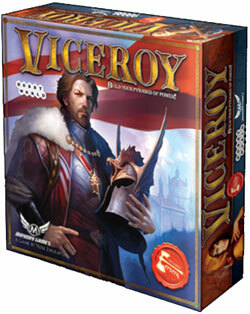 You start Viceroy with two gems of each color, four character cards and two law cards. There are four colors of gems; red, green, blue and yellow. You keep two of the cards, discard the other two and return two gems to the supply. 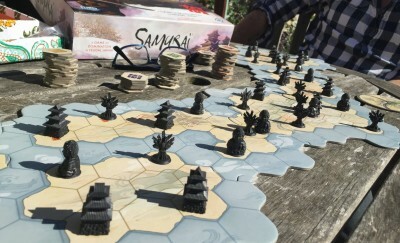 Fantasy Flight’s new edition of 1998 Reiner Knizia classic Samurai arrives in the next few months. Now, this site has traditionally poked fun at Knizia, which is to say we’re still waiting on the proof that he isn’t some kind of extra-terrestrial. The man has four hundred and fifty designs to his name, his obsession with simplicity means the less-good ones are breathtakingly dull, and then there’s this video he made for the 2015 Global Game Jam. We’ve discussed it at length, and we’re pretty sure that’s not a green screen and he really is transmitting from inside the game dimension. 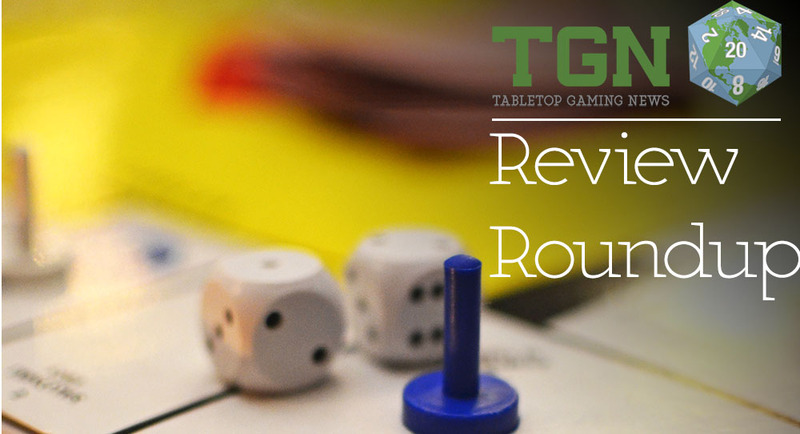 A review of Star Wars Imperial Assault could simply read thus: Its Descent 3rd Edition with Star Wars. This straightforward statement sums up the entire experience and easily works better than any review score. If you liked Descent Second Edition and you like Star Wars then go out and buy this game, seriously, you don’t even need to read the rest of this review. 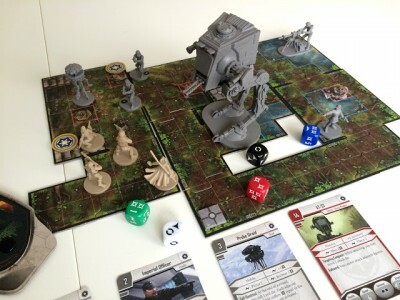 Not only does Imperial Assault beautifully combine these two elements, it improves upon the older game, making for a tighter, more rewarding experience with a an extra two-player miniatures skirmish game added for free. Today, we are going to be diving into Metro 2033: Breakthrough. Published by Hobbyworld International (Viceroy, Spyfall), Metro 2033: Breakthrough is a card game that puts players in the role of a faction leader, trying to acquire supplies, discover new locations, and even fight off monsters. With a good theme, interesting artwork, and cards with multiple uses, we’ve got a lot to talk about here, so let’s get to the good stuff. Metro 2033: Breakthrough is a set collection and hand management card game for 2-5 players that takes about 45 minutes to play. Metro 2033: Breakthrough plays well with any number of players. Looking for a light abstract game and you just don’t want any pretense of theme? Enjoy a decent game of checkers but would prefer something a bit simpler? Like a very clean, minimalistic design? How about a game you can learn in less than a minute, and play in less than 10? 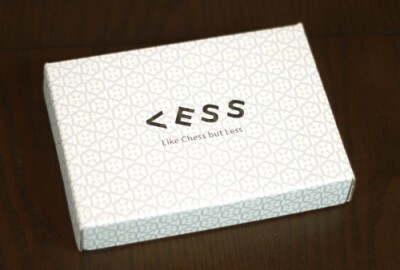 Well, you might be interested in Less, a small-boxed light abstract game that (despite the claim of relation to chess) plays a bit like checkers in 10 minutes or… uh… less. It’s on Kickstarter now, seeking your funding. Pirates! It seems like everyone loves pirate themed games. They’re certainly among my favorites. Some, like Merchants and Marauders, are long, heavy, thematic affairs. Others, like Jamaica and Black Fleet, are light, fast playing, and better suited to a family environment. Then there are games like Libertalia that fall somewhere in between. They’re all good and it just depends on what you crave on any given day as to which one you’ll pull out. With so many pirate games covering so many different mechanics and audiences already on the market, is there room for another one? 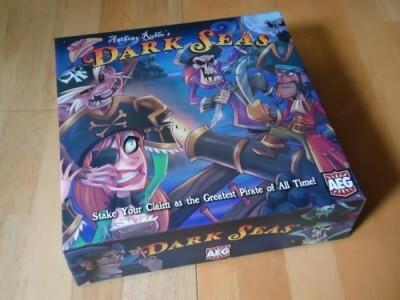 The creators of Dark Seas certainly thought so. Read on to see if I agree.